Are you invited to a wedding this fall and have no clue what to get the couple? Maybe you’re stressed because you’re not super close to the couple, or you want to get them a gift that’s personalized but not too cheesy. Do the bride and groom even have a registry?! Today we’ll give you some tips to be an expert at wedding gift giving! We decided to speak to the wedding registry experts at Zola. Here are some helpful tips from Zola that’ll make you a gift giving pro. 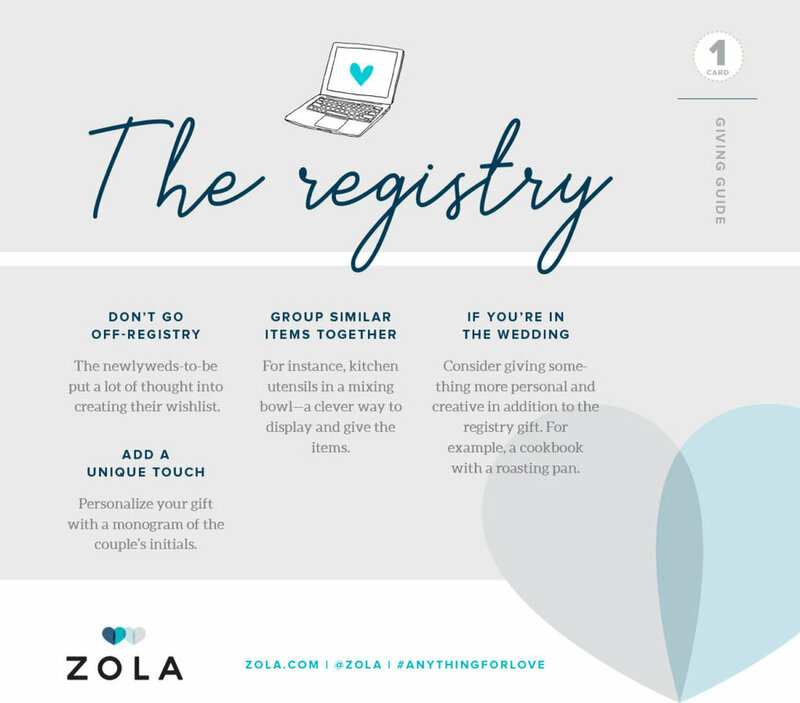 This wedding registrymakes registering and gift giving easy as they offer price matching, group gifting, and each couple’s registry is easily navigable. Follow these tips and there’s no doubt that you’ll get something the newlyweds would love!